The Moon, the Gate, and the Veil. Today’s post is about the heart’s gaze. About straight, clear seeing and feeling through ‘the veil’ that surrounds this planet. 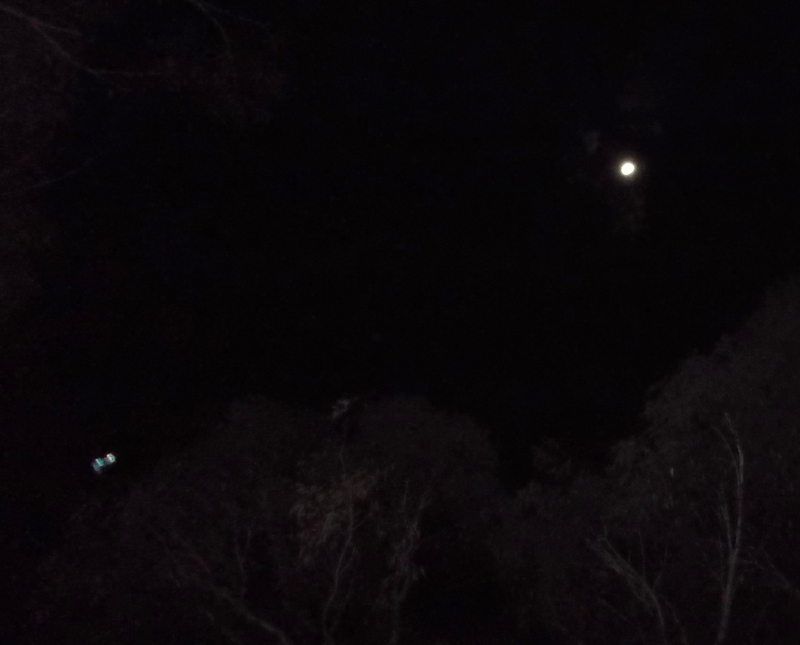 I’d like to open with some photographs Bareld and I took just over a month ago while he (my twin soul) visited here, when we had an opportunity to ‘moongaze’ leading up to the Blue Moon at the end of July, 2015. While focussing on writing a post about ‘the veil’, the moon gave a perfect illustration of it that night…and how to see through the veil. 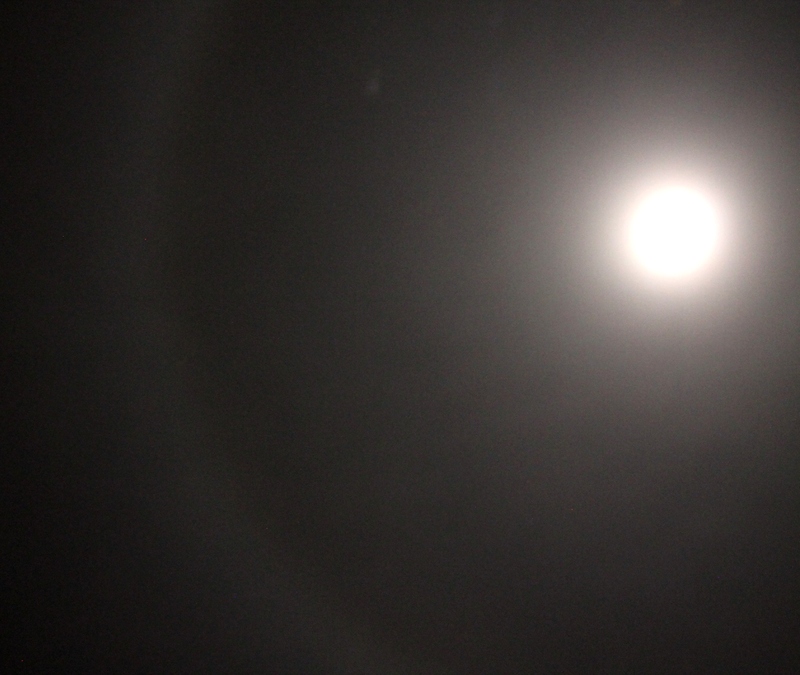 What we were shown was the moon with a large, complete halo. 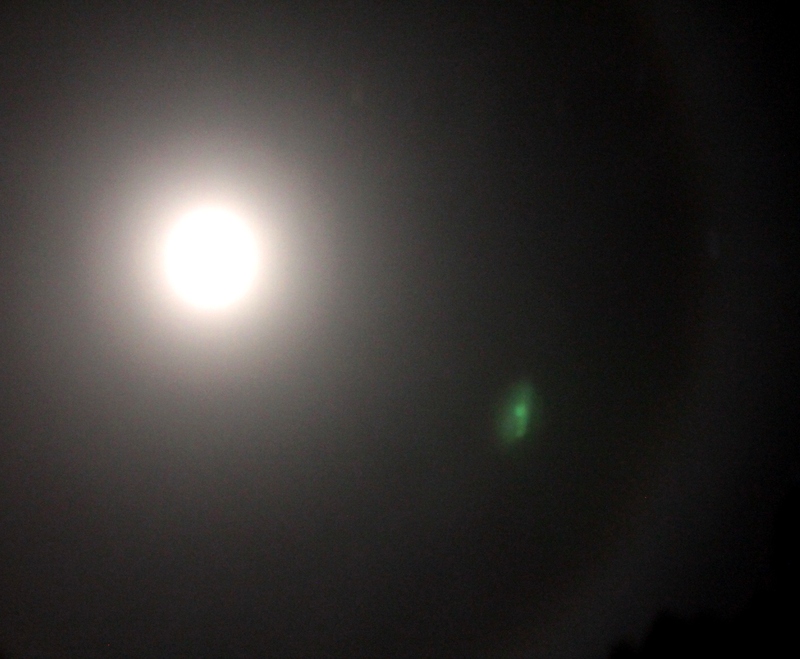 Inside this halo, all around the moon was a clear night sky filled with stars, and orbs and lightships flew through this ‘portal’ of the halo ring. All beyond that halo, the entire night-sky was covered in mist, through and within which nothing could be seen, not a single star or any other object. Photo by Bareld Nijboer, showing part of the halo around the moon, July 27th, 2015, with an orb just appearing within the halo ‘gateway’. It looked as if a thick veil had been dropped over the whole sky. We could see through to the ‘Life’ of stars and higher dimensions, and feel and perceive our connection with those higher dimensions and the beings dwelling and moving within them while keeping our focus through the open gateway, rather than into the surrounding mist veil. I’ve never seen a sky like it before, with this perfect representation of ‘Life beyond the veil around Earth’, which can be seen, felt and connected to, when we entrain our focus into the Light…on this night symbolised by the moon, reflector of the light of the Sun, which is a portal for the light of Sirius (the Lion’s Gate period, when the energy of Sirius is felt most strongly, was open and flowing in July/August) and the Sun’s Suns back to galactic centre. The Moon-gate streamed with Sirian leonine presence that night. In the next photo of Bareld’s, their energy was wrapped around a ship that showed as paired lights. Lightship as paired lights held within leonine energy in Bareld’s photo, with other ships passing through the ‘gate’, 27th July, 2015. 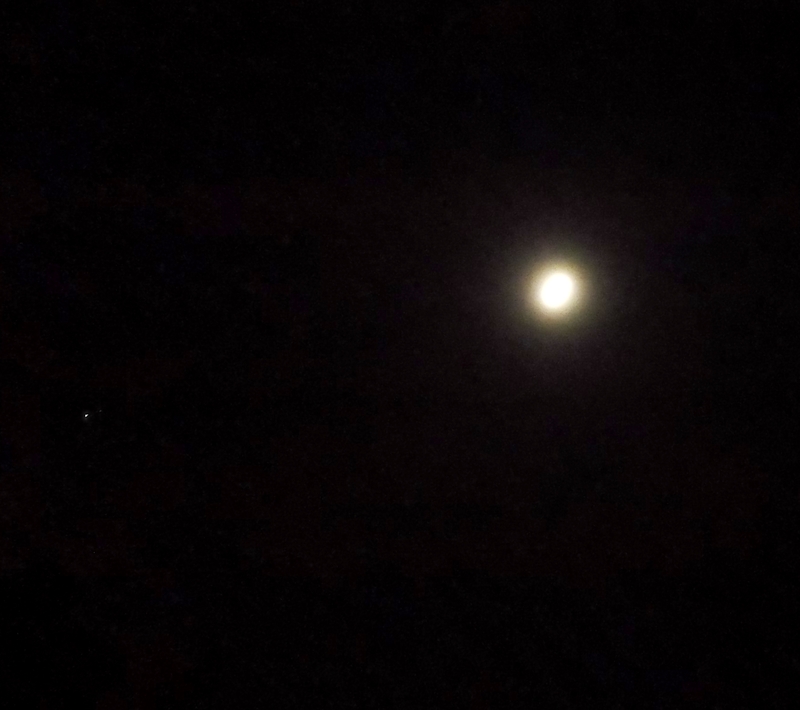 I took photos of orbs arranging themselves in triangular formations (a sign of Sirian presence) around the moon. 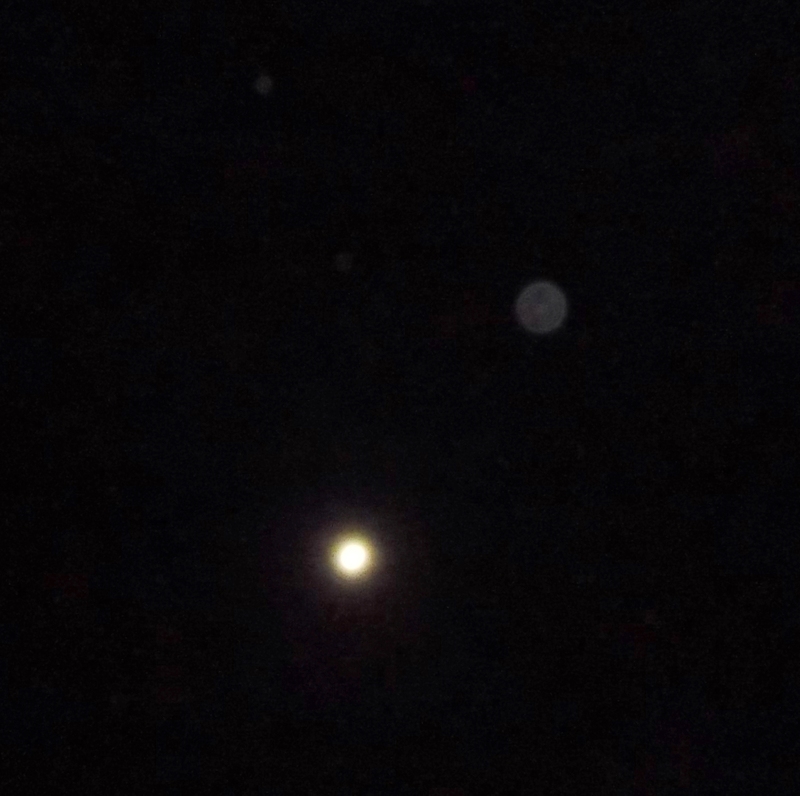 One leading orb with two smaller companions form a triangle above the moon, July 27th, 2015. 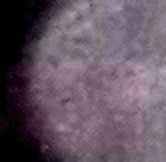 Within the largest orb, many faces can be seen, the largest being a lioness face in the lower left side, who we now know to be Bareld’s Twin Flame, Tee’nah. Here’s the orb with an outline drawn around her face. There are many more in there too, feline, human, birdlike and others, but with Tee’nah’s guiding/overseeing leonine presence. 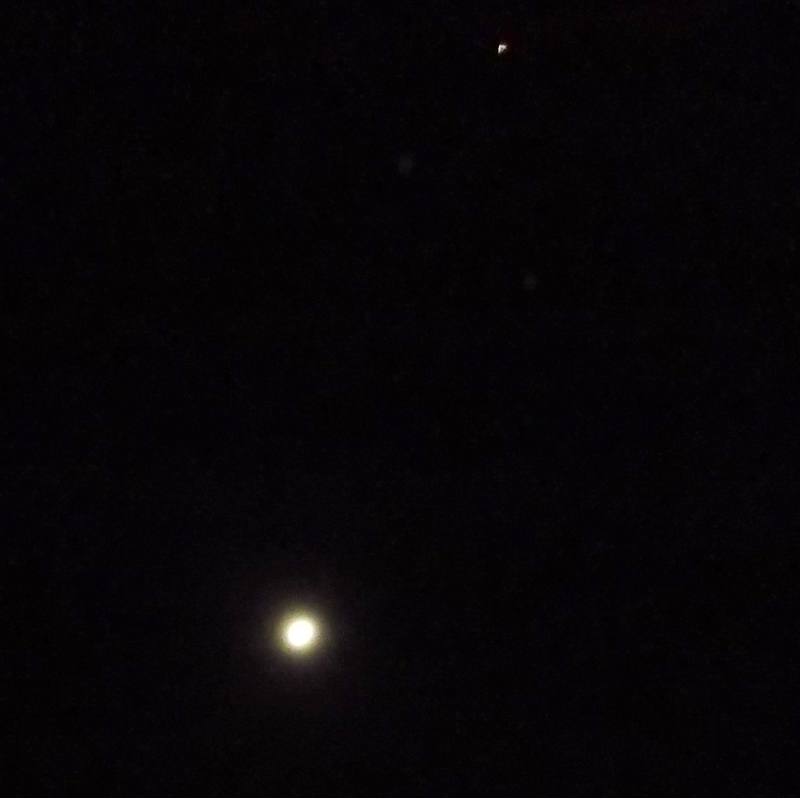 Following this, a small Sirian ship again triangulated with two orbs above the moon. 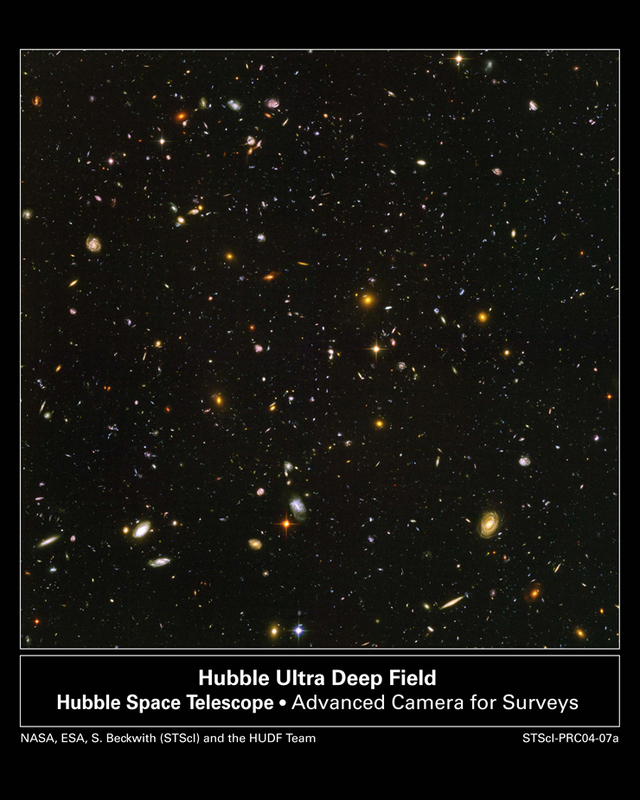 Sharing these photos reminds me of the Hubble telescope being trained on areas of space that appear from Earth to be no more than a dark, empty void, only to find that through the Hubble’s ‘Ultra Deep Field gaze’, these areas contain thousands of galaxies. Even 3D telescopes now show humanity that this universe is teeming with light and life beyond previous knowledge of the current collective mind. When humans see and feel in and through dimensions beyond 3D, and connect to the life existing in and across them, the illusion of the ‘void’ is unmasked. When the veil peels away, it reveals infinite Light and Life, Love’s ever-expanding creation and vitality. The ‘void’, which is a projection of/within the veil around the Earth, loses its hold on the mind, and disappears. Time is non-linear. Space transforms, folds and unfolds like rose. The construct of the veil as a ‘synthetic membrane’ inserted between the third and fourth dimensions, from 4D appears like a dense fog. From 3D it’s like an all-encompassing screen, on which ‘movies’ are projected that captivate the mind. These movies are designed to keep the mind attuned to the screen instead of into and through the gate of Light – where the mind cannot go, until it is prepared to let go of control, of all its defining ‘stories’ that come from the screen, under the fog of the veil, and let itself align with the inner heart. This is why we speak so often of living in your heart, going into your inner heart chamber, seat of your soul, your inner portal that has the natural divine capability to connect with the infinite network of the Tree of Life, the creation we are all part of and contributing to as eternal, multi-dimensional BEing. We always are connected, in our core, otherwise we would not exist. It is only the mind that separates – and in its separated state is enchanted by the web of theatrics on the screen (which can include ‘information’ spread through alternate avenues as much as mainstream). 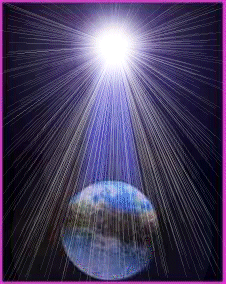 If your focus remains on/into the light of Source, of which a pure spark lives in your inner heart, then your being is connected with the network of Life, of Love, and its emanating Light. You see and feel through your inner portal, into and through the network of portals – just like the ringing halo around the light of the moon in the photos above, where the Life of higher dimensions can be seen. This doesn’t mean being oblivious to what is occurring in the material (and psychospiritual) world, but that you are not subject to being influenced by lesser truths, part truths and distorted energies of the polarity strata. Many speak of opening the pineal chakra/third eye, yet if the heart centre has blockages, however subtle or subconscious, then the pineal gaze cannot discern between the projections of the veil and higher truths. They can look identical, until we have centered, anchored in, and fully cleared the heart. Actually, as we focus into and through the heart, the star centre/pineal chakra automatically opens, but in balance with, and aligned to, the heart’s seeing/feeling. I’ll end today with a few more photos. 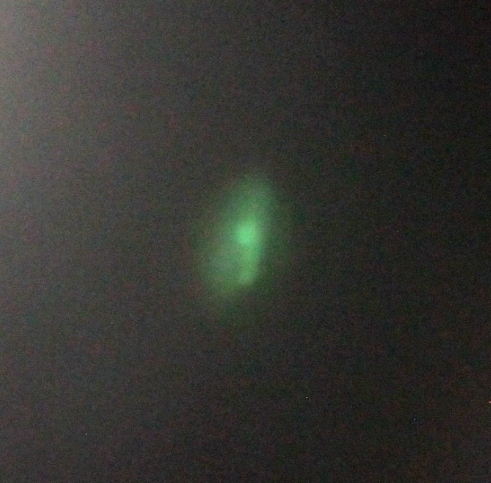 The next one is how the green-lighted ship in Bareld’s pictures appeared in my camera shots, as paired lights, visible on the left. 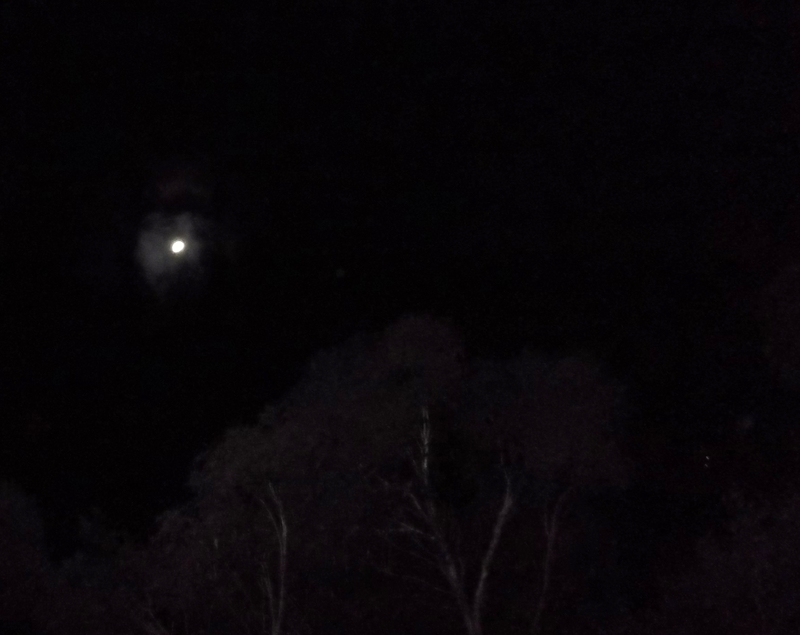 A small ship came here on August 25th, flashing again as paired lights (signalling that it is of the same origin) down low between two trees, before passing behind the trees and showing itself more clearly just above/beyond the treetops, not far away. 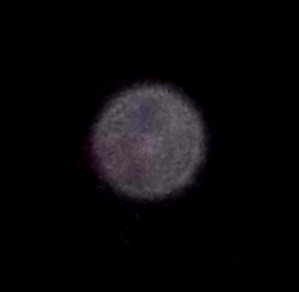 Small ship between two trees at the lower right, appearing firstly as paired lights, with an orb above it, August 25th, 2015. 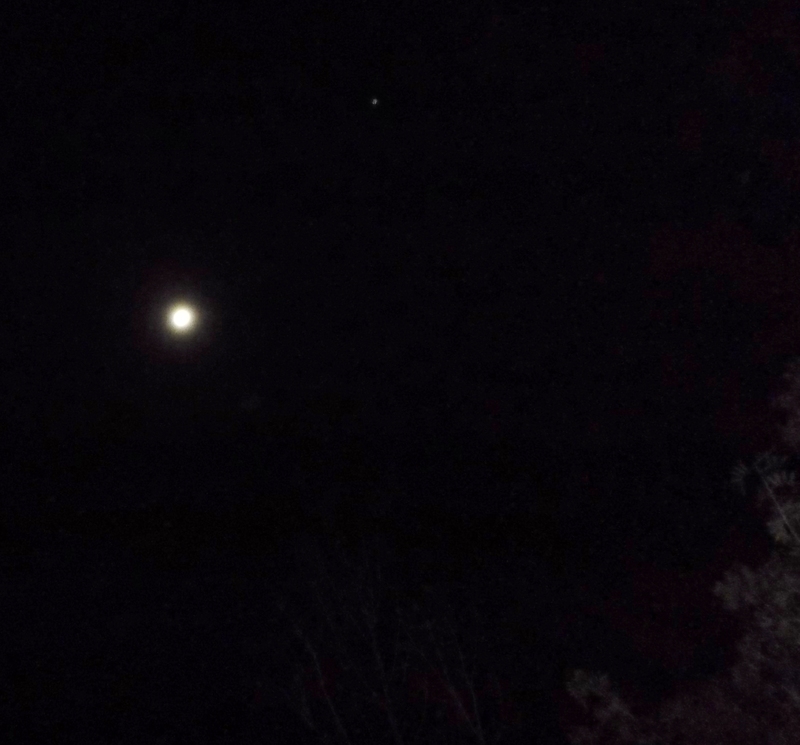 The ship flew behind the trees and decloaked just beyond the treeline, August 25th, 2015. I’ll write about this new contact soon, from humans of part of the Orion system, who themselves went through much before the Ascension of their planets, and are here as part of the Intergalactic Confederation, to support us now. This entry was posted in Ascension, Ashtar Command, Dimensions, Disclosure, Intergalactic Confederation, Lightships, Orbs, Sirians, Sky Signs and tagged aliens, ascension, dimensions, disclosure, ETs, ETVs, fifth dimension, fourth dimension, higher dimensions, leonine beings, lightships, Lion's Gate, metaphysical heart, orbs, Orion, portals, Sirians, Sirius, UFOs by Joanna. Bookmark the permalink. Haha, well I’m glad you learnt some bewdiful new words during your stay here, sweetheart. Amayyzing and totally Awwesome, all the way. Please write ma to my mail newdemiurg(at)wp.pl or share with me Your email. about Your precious time in private correspondeces..
which may be crucial for Good puroposes..